In the immediate part of this photo a man is sitting cross-legged and reading a book next to an elevated statue. To the right and behind him passengers are making their way across the lake in a swan boat. The tree that has its branches hanging over the water is a weeping willow (Salix babylonica). 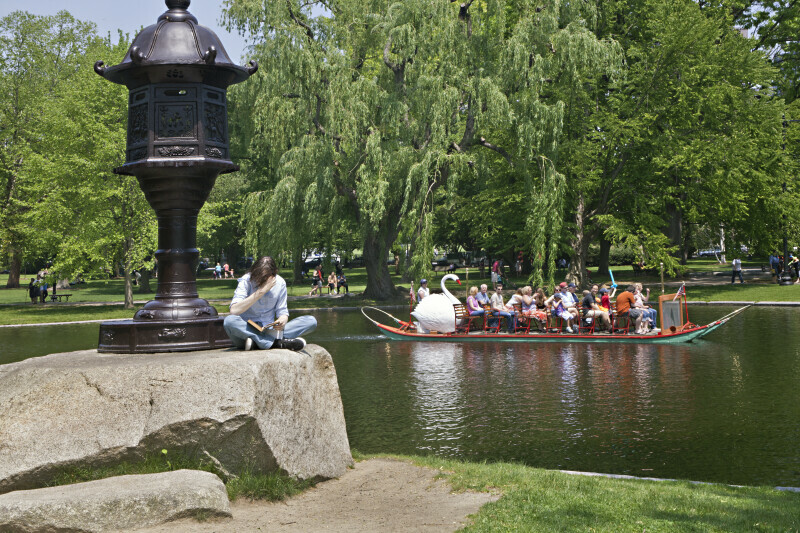 This picture was taken on May 27, 2011 at the Boston Public Garden. WARNING: You are about to download a 41.1 MB TIFF!